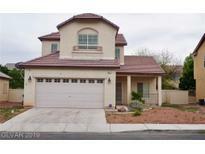 Find North Las Vegas, NV Foreclosures for sale. View Photos, Maps and MLS Data Now! 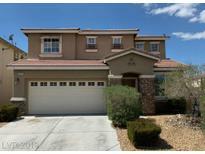 Buyer agrees to comply with all court decisions, Contact me first for additional info required on contract. MLS#2086632. Paradigm Realty. Aliante location near Nature Park with community parks and walking areas- Good shopping areas-2 bedrooms downstairs each having their own baths plus half guest bath- Stainless Steel Appliances stay- tile floors-separate dining rbalcany off one bedrmoom can be used for office or den-upstairs 2 bedrms and open loft area -balcony off one bdrm-outdr bbq and covered patio- spa is as-is synthetic grass-dwnstrs also has a nice nook area MLS#2084285. ERA Brokers Consolidated. 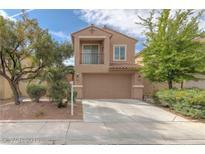 Desert Moon - Buyer is to verify schools, HOA, measurements and utilities. MLS#2081792. Hastings Brokerage Ltd.
Carey Estates - Extended three car garage. Great potential. MLS#2084499. Alajajian Properties. This Home Needs Some Tlc But Seller Is Also Motivated To Sell! ! MLS#2079754. DeVille Realty Group. Please measure all figures are estimated. MLS#2077248. Keller Williams Market Place I. 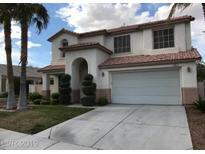 Rose Lake - Kitchen is large and has granite counter tops and flooring is all very nice tile.. 2 story home with balcony to enjoy those warm Vegas summer days.. Bring all your buyers to come and see this AMAZING house !! ! MLS#2075010. Next Level Realty LLC. La Quinta Springs - !Don’t miss out, Make an offer today! ! MLS#2075394. Orange Realty Group LLC. Decatur Pointe - Convenient to freeways, schools, shopping, restaurants, & more! MLS#2074690. American Realty Properties LLC. Tripoly At Kings Hill - Convenient to freeways, schools, shopping, restaurants, & more! MLS#2073393. American Realty Properties LLC. Runvee Hobart - Conveniently located near shopping, transit, entertainment, and dining. MLS#2068999. Century 21 Americana. Runvee Hobart - Breathtaking mountain view and so much more. Schedule your showing today. MLS#2069023. Trillionaire Realty. Formal living and dining area plus a family room. MLS#2068344. Paradigm Realty. Runvee Hobart - "A Must See"-Age Restricted*HOA Includes Many Amenities * Tennis, Pool, Spa, Clubhouse, Rec Area, Putting Green, Bocci Ball, Walking Trails, Parks, Pet Park * Social Calandar*Well Maintained/Looks Like New*Solar Panels (Owned) LOW ELECTRIC BILL*Stainless Steel Appliances*PVC Garage Flooring*Reverse Osmosis Water Filter*Guard Gated*Plumbed For Pest Control*Security Screen Door*Furniture For Sale As Well MLS#2066755. Signature Real Estate Group. See this property before it's gone! MLS#2065261. Realty ONE Group, Inc.